About Us | Legal Nurse Consulting, Inc.
Catherine Y. Stockinger, RN, BBA, CLCP, LNC is a registered nurse with experience in the acute hospital setting including patient care in the areas of medical-surgical, neurology, neurosurgery and gastroenterology. She also has experience as a clinical liaison between hospitals, patients/families, medical providers, and administrators. She has a diploma from Mansfield General School of Nursing, holds a bachelor of Business Administration degree from Mount Vernon Nazarene University, completed the Capital University Law School Life Care Planner Professional Certification Program, and graduated from the Certified Legal Nurse Consultant course instructed by the originator of legal nurse consulting in Houston, Texas. Cathy is licensed as a registered nurse in the state of Florida. She holds certifications with the National Alliance of Certified Legal Nurse Consultants (NACLNC) as well as the International Commission on Health Care Certification (ICHCC) for life care planning. 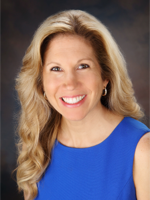 She holds affiliations with the Florida and Ohio Boards of Nursing, Commission on Health Care Certification, Care Planner Network, The International Academy of Life Care Planners, and the Legal Nurse Consultant Exchange. 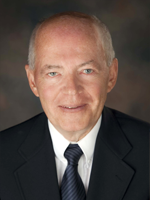 Fred S. Stockinger, MD, FACS, FACC, FCCP has been instrumental in initiating both pediatric and adult cardiovascular surgery programs including the planning, development, staffing, and training of personnel. He has been Medical Director of Adult and Pediatric Intensive Care Units, Chief of Surgery, Chief of Cardiovascular Surgery, and Chief of Staff. He is a Fellow of the American College of Surgery, the American College of Cardiology and the College of Chest Physicians. He is a member of the American Heart Association, the International Society of Heart and Lung Transplantation, the Society of Critical Care Medicine, the Society of Thoracic Surgery, and the American Board of Thoracic Surgery. He is board certified in General Surgery and Thoracic Surgery. He is retired from the Department of Cardiovascular and Thoracic Surgery at The Ohio State University.